full disclosure: I have a piece that appears in this volume, but for the purposes of this post, I am not reviewing it. This is about celebrating and reviewing others’ works who appear. I’ve never read this zine cover-to-cover till now. I didn’t really learn the word ‘suburb’ before I came to Australia. In England, places were cities or towns, and in the Philippines they were villages, now that I reflect on where I’ve lived within these countries. The people that feature in this volume of TSR are amazing. They are intimidatingly talented and their profiles have only grown since it came out. 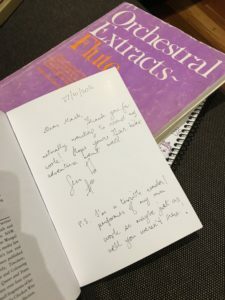 At this year Emerging Writers’ Festival and National Writers’ Conference, I was astounded to learn (pleasepleaseplease read that in the best way possible!) that TSR co-editor Anupama Pilbrow is a mathematician as well as a poet. Recently, I’ve come to see many poetry-pure sciences links as making sense – before I understood them as facts on a page. Perhaps I wanted to see them as distinct rather than celebrate their joyful overlappings. Anupama’s intro is about representation and how it really matters. Coincidentally, I posted a thread on Twitter the day I started writing this post about how knowing the British-Guyanese writer Fred d’Aguiar even existing means writers like me can claim space? That last question mark is there – deliberately. The first piece by Pakistani-based Mahreen Sohail ‘en-route‘ hits me in the feels so hard, I’m not initially prepared. It starts with imaginings of if one were to set fire to a house, then seamlessly moves through the complicated relationship between a mother and a daughter when migration is part of your experience. There were times where I winced reading it because even though I’ve never come across this author’s work before, there is so much that feels familiar – the silences, the I-don’t-want-to-argue-but-I’ll-push-you-to-your-limits-anyway exchanges. Just…wow. You can learn more about Alison here, and also note that she is this year’s Indigenous poet-in-residence for the Queensland Poetry Festival after finishing a stint studying in the US. ‘The Sharmas‘ by Jov Almero is clever, incisive and devastatingly funny. It will make you cringe, wince, giggle, raise your eyebrows in saucy expectation, and it’s refreshing to hear someone write about food and not wax lyrical about it as a transformative cultural experience. Cheeky snorts will happen whilst reading! Also: yea fellow Pinoy! ‘Chorui’ by New Delhi-based Sohini Basak is the kind of poetry I want to write – slightly stream-of-consciousness, uses repetition in a letter-permutation kind of way, and includes personalised taxonomies. It’s about a crow who has a bet going on with a sparrow who claims the crow’s too filthy, so it tries to get washed but can’t – because everything it wants to touch to get clean doesn’t want to get dirty! As I start listening to Radiohead’s Kid A album (one of my favourite musical aids for sleep, and late night working – it’s like musical comfort food? ), I read Sean Wai Keung’s ‘Immigration’ poetry sequence. There are two sections called ‘Departure’, and Arrival is in the middle. This review is getting super-long so I’m mindful of that, but it’s such a haunting look at what generations eat and how they travel and what they have to do to survive in the places they’re alien to, in search of a better life. Reading it instills a sad yet necessary pensiveness – it’s nice to be up late now, reading the form I guess I call my writing genre ‘home’ (which stems from my first real love – music) but also a little lonely. Lee Lai’s comic features a queer couple of colour, one preparing a roast chicken, the other excitedly interrupting. Afterwards, they share the meal and feed each other, and say the most vulnerable, frightening, loving things to each other. ‘Queer people of colour and romantic* contentment’ needs to be a genre! This comic sequence made me smile the way I do when my cat is happy and she just wants to be around me because my existence apparently makes her really settled, and then we catch each others’ content feels. Eerily, when reading ‘Looking For Cuba’ by Celine Aenlle-Rocha, ‘In Limbo‘ and ‘Idioteque‘ came on. It’s short but impactful, and questions when a person stops and/or starts to belong to a place they are fleeing, and the place they’ve fled to. Stephanie Chan’s ‘Waterfall’ is a poem/microfiction piece about a first, shared overseas trip to Malaysia. It’s also another lovely example of queer intimacy and is prefaced with a note on its inspiration (Cyril Wong’s poem ‘crossing j. b.’ from their poetry collection Below: Absence – more wonderful poets’ work to look up!). Ellen van Neerven, a Yugambeh writer, has a short story called ‘Carrier’. It’s kind of wonderful and dark, in that way where you read and don’t quite know what’s going to happen or follow, and know that some bad stuff’s gone down, and your mind just keeps birthing more questions as you read on. The sense of wholeness is in the quotidian scenes of people caring for each other and connecting in the best way possible even if we are stripped down to our best or worst selves. There’s an unease about going on the journey of Jet, the character who’s injured, and this doesn’t resolve with the story’s end. You realise, as a reader, that to want neat resolutions and endings, is actually quite misanthropic towards the writer, and towards humankind. Revolution let sticks of dynamite fly. Time in a camera’s flash, rifle mouths in bloom. I saved drinking the alcoholic selection for this post for the second day of reading. The gorgeous Bengal I’m currently looking after seems to have given me time off to write this, so now I have the evening to finish a can of this gorgeous stout. Coffee Breakfast stout brewed with micro-roasted beans by our old friends at Genovese, vanilla beans, cinnamon & a little Lark Whisky barrel oak ageing to boot! Coffee notes: Jhone Milanez Lacerda – lot #03. Red Catual varietal. Controlled fermentation process. Sitio Santa Rita estate. Serra do Caparao (Brazil) region (altitude: 1250 masl); coffee tasting notes: strawberry jam, candied orange, milk chocolate, ripe jackfruit, juicy mouthfeel. Roasted by Ben Toovey. HA! Fark am I glad I saved this can as an end-of-the-week drink! No wonder it’s so freaking divine! In case you were wondering, I never read tasting notes of a beer till I’ve drunk at least half a glass of it and tried to name the flavours I think I can get? So what did I think I could taste? Jam, orange, cocoa, mango tartness, vanilla, chai spice, something to make it taste smooth but thick the way coconut cream is, something boozy. When it warms up a bit, the acidity is more pronounced and I start to get a bit of that savoury roast coffee feel, but not much. Gosh, this coffee by itself must be dreamy to drink. I’m going to pour my second glass (very coincidentally a Bonne Maman jam jar! ), and start reading where I got up to. ‘Final Call’ by Bikram Sharma is about two best friends, one of which has a successful application to study at an overseas university. There’s familial expectation, there’s hints of magic realism very, very subtly woven in, and the story itself is achingly devastating though not in ways you’d expect. It went down paths I definitely did not expect and so deftly; quickly but not rushed. There’s a lot to process in Atong Atem’s ‘Conversations With Myself, My Mama, My Friend, and My Past Self About The Burden of Re-Learning Intimacy’ – it’s creative non-fiction, and framed through experiences of childhood assimilation, and talking to relatives, and the emotional labour and burnout that goes with uneven (largely platonic, it’s insinuated) relationships. She gives voice to the complicated dance that is displacement, belonging, surviving but not really enjoying existing as an alien. Khalid Warsame does the same with this list poem? microfiction? piece ‘Secret Shame’, though any piece that intimately admits zolpidem as being part of the creator’s existence is going to have me on board (seriously: I have never embarrassed myself drunk ever the way I have whilst waiting for Stilnox to kick in, if it’s even working. Chronic insomnia is part of my mental illness experience). Though I’ve largely discussed the works above in order of appearance, Taiwanese artist Mengo Lee’s comic about surviving and looking after an unwell parent was sandwiched between Warsame and Atem’s pieces. It captures and conveys the eerie, dreamy-like state of being in hospital, and waking up and not wanting to really get up out of bed, that could be due to medications or sleep-wake cycles, conscious-unconscious states of being. Melbourne-based comic artist Rachel Ang has illustrations peppered throughout relating to the written works featured, and is also responsible for the cover art – having her illustrate the landing page for my ‘Umami’ piece was just…it felt wonderful and special to think that someone could read my piece and create based on it?! (I know I said I wasn’t going to talk about my work, but her illustration is gorgeous and cheerful. There’s a quieter reflective one for Keung’s ‘Immigration’ poems, and a darkly magical one for Sohail’s ‘En-Route’. I’ll end with a confession below. If you got this far, thank you for reading my gustatory, aural and literary indulgences come together in this post! no, I don’t have a (self-)signed copy because I think I’m famous or important. 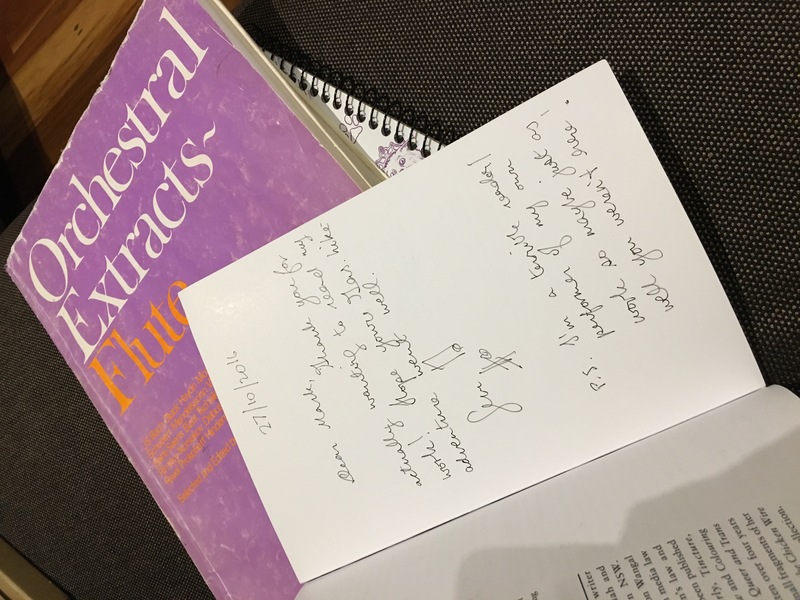 It was meant to go to a friend who had read and helped edit my work a few years ago, but he never gave me a postal address whenever I asked him for one, so now I have this embarrassing failed display of emotional warmth that makes me wince a lot more than I previously admitted. Buy unembarrassingly unsigned copies here for a steal! There’s a loooooot of big-deal creatives in it!!! This entry was posted in beveraging, coffee hipstery, sip a daily zine and tagged Alison Whittaker, Anupama Pilbrow, Atong Atem, beer review, Bikram Sharma, breakfast stout, canned beer reviews, Celine Aenlle-Rocha, Ellen van Neerven, Fernando Pérez, Fred d'Aguiar, French historical fiction, French novel film adaptations, Guillaume Depardieu, Hannah Donnelly, Jordi Savall, Jov Almero, Khalid Warsame, Kid A, Lee Lai, Mahreen Sohail, Marin Marais, Rachel Ang, Radiohead, Sailors' Grave Brewing, Sean Wai Keung, Sohini Basak, The Suburban Review, Tous les matins du monde, viol, viola da gamba, writers of colour on July 7, 2018 by gem.